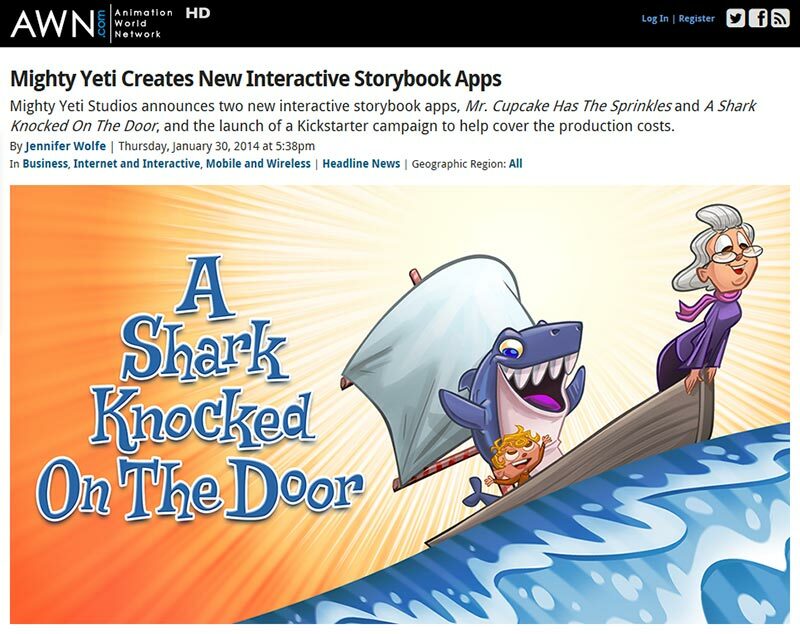 AWN (Animation World Network) did an article on Mighty Yeti’s kickstarter and the announcement of our first two interactive storybook apps. Super cool of them to help us get the word out on what we’re doing in kids and family entertainment. Read it here!